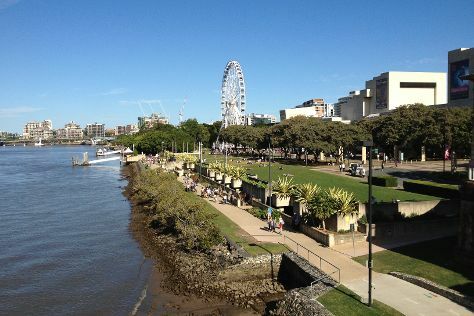 Venture out of the city with trips to Brisbane (South Bank Parklands, City Botanic Gardens, & more). Spend the 2nd (Tue) exploring the fascinating underwater world at Sea World Theme Park. There's much more to do: find something for the whole family at Warner Bros. Movie World, admire nature's wide array of creatures at Currumbin Wildlife Sanctuary, make a splash at Dreamworld, and get outside with Pelican Feeding. Plan a trip to Gold Coast easily and quickly by telling Inspirock to suggest an itinerary. Brisbane to Gold Coast is an approximately 1-hour car ride. You can also take a bus; or take a train. July in Gold Coast sees daily highs of 24°C and lows of 11°C at night. Finish your sightseeing early on the 7th (Sun) to allow enough time to travel to Kilmore. Kilmore is a town in the Australian state of Victoria. Start off your visit on the 8th (Mon): take in the exciting artwork at Kilmore Old Courthouse Gallery, then explore the different monuments and memorials at Kilmore Catholic Cemetery, and then walk around Hadfield Park. To see other places to visit, photos, reviews, and more tourist information, read Kilmore driving holiday planner. Use the Route module to find suitable travel options from Gold Coast to Kilmore. Prepare for slightly colder weather when traveling from Gold Coast in July: high temperatures in Kilmore hover around 15°C and lows are around 6°C. Wrap up your sightseeing on the 8th (Mon) early enough to travel back home.